Westchester County residents may obtain a College Certificate of Residence to reduce tuition costs while attending a two-year SUNY/CUNY college outside of Westchester County if they meet the residency requirements. The certificate is only issued by the Westchester County Finance Department. Residency Requirements: One year in New York State and six months immediately preceding the semester of study in Westchester County. Students have a period of 90 days – 60 days prior to the start of the semester and 30 days after the semester starts to obtain the certificate and return it to the respective school. Once issued the certificate is valid for one year and is valid for only one school. If you are taking courses at more than one school, a certificate is required for each school you are attending. Download and print the instructions, application, and the guardian form if needed. The application must be completed in ink, signed and notarized. All required documents must be submitted with the application. Refer to the instructions. Applications are NOT accepted in person at the Finance Department. The best communication method with the Westchester County Finance Department is via email; the email is checked once daily. 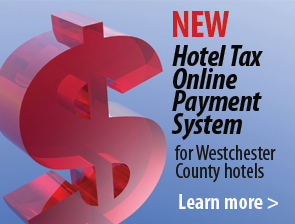 If you have further questions, you may send an e-mail to dept-of-finance@westchestergov.com or send a fax to (914) 995-3230.